Silvey is the long-time editor of the premier children's book review magazine, The Horn Book, and is a noted expert on children's lit. By her own estimates, she has read "about 125,000 kids books over the past 40 years." Silvey has also edited or written books about children's books including Children's Books and Their Creators [028.1 CHI]. The summer is often a good time to explore a new hobby. There are outdoor hobbies like gardening and photography. There are indoor hobbies to keep you busy on a rainy summer's day. One of these indoor hobbies is model building--model cars, model planes, model buildings. Some people make scale models of cities. Here's one person who builds a whole city out of staples! A staple city, or one of those fantastic Lego® projects you find in The Ultimate LEGO Book [J 688.7 ULT], will sure keep you busy for many summer days, but if you're looking for something a little simpler, browse through Get a Hobby! : 101 All-Consuming Diversions for Any Lifestyle by Tina Barseghian [790.13 BAR]. If you're a woman, you may have wondered what it would be like to try some of the more "manly" outdoor sports. Perhaps you should look into Becoming an Outdoors Woman in New Hampshire (BOW). Oprah and Gail have tried camping and fly fishing, so why don't you? What is BOW? BOW holds workshops and weekends and looks like a whole lot of fun! If you take one of the BOW courses, and want to learn more about the outdoor activities, our sports section has many books on hunting, fishing, shooting, hiking, camping, kayaking, etc. Peter Falk, in his role as Columbo, played a character who proved the old axiom, "you can't judge a book by its cover." Falk passed away on Thursday. Never a leading man, he was able to play some meatier character roles. Our collection has movies in which Falk appears as a slightly off-balance CIA agent (The In-Laws [DVD IN]), a kindly old grandfather (The Princess Bride [DVD PRI]), and many more. The In-Laws is one of my all-time favorite movies! Peter Falk will be missed. The latest collection of poems by the Pulitzer Prize winning poet, Charles Wright, is Bye-and-Bye: Selected Late Poems [811.54 WRI]. ...if a guy can't say what he has to say in three lines, he better change his job. Well, I haven't gotten that far yet, but at least I'm down to six lines. care for us the way we care for them. Horses, for instance, and chipmunks, and any bird you'd name. Empathy's only a one-way street. And that's all right, I've come to believe. and penultimate ones as well. It's a good lesson to have in your pocket when the Call comes to call. The Poetry Friday Round-Up is being held at Carol's Corner. Coming Thanksgiving: a new Muppet movie! As Kermit would say (wildly waving his arms)--YAY! It's titled, simply, The Muppets. A longer trailer can be seen here. While you're waiting for the new movie to be released, rewatch some of the older Muppet films such as The Muppet Movie, The Muppets Take Manhattan, and Muppets from Space. We also own three seasons of The Muppet Show! All of our Muppet films are found in J DVD MUP. The Boston Globe-Horn Book Awards were recently announced. These awards celebrate excellence in children's literature. Blink & Caution by Tim Wynne-Jones [YA WYN]. The Notorious Benedict Arnold: A True Story of Adventure, Heroism, & Treachery by Steve Sheinkin [on order]. Pocketful of Posies: A Treasury of Nursery Rhymes by Salley Mavor [JP POC]. 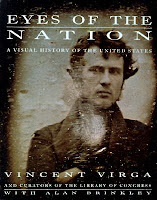 We have a number of the honor books in our collection, too. Chime by Franny Billingsley [YA BIL]. Can We Save the Tiger? 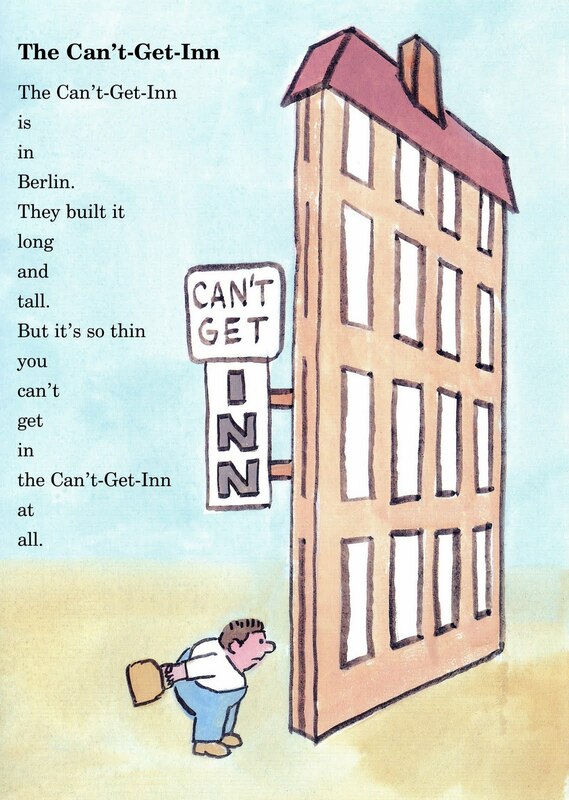 by Martin Jenkins [J 591.68 JEN]. Dark Emperor and Other Poems of the Night by Joyce Sidman [J 811.54 SID]. Pecan Pie Baby by Jacqueline Woodson [JP WOO]. I was lucky enough to be given a gift of a ticket to see Michael Bublé at the Verizon Center in Manchester last Friday night. The best part about the tickets is that our seats were on the floor, only about 15 rows from the stage. I could see the man's tonsils, we were that close! The stage effects were great. The band was great. Michael Bublé was great--a masterful performance. At the end of the show, vast amounts of silver and white confetti fell from the rafters. It was a GREAT night. I suppose there are a few who have not heard of Michael Bublé and who do not already own all his CDs. If you're one of those people, please visit the library to borrow one of his four albums. They are all found under CD MALE VOCALIST BUB. His latest is Crazy Love, a fine mix of standards such as "Cry Me a River" and original songs such as "Haven't Met You Yet," a radio favorite. The video below is "I've Got the World on a String" from Call Me Irresponsible. A 2003 interview with Tavis Smiley can be heard here. The best way to celebrate a musician's life is through his music, so come down to the Library to borrow one of our Springsteen CDs [CD ROCK SPR]. If you like tongue twisters, we have lots of books of tongue twisting fun--simple tongue twisters in the J 817 section, and another book combining poetry and tongue twisters, Twimericks: The Book of Tongue-Twisting Limericks by Lou Brooks [J 808.817 BRO]. Once you get your tongue untangled, head over to the Poetry Friday Round-Up being hosted this week at Check It Out. 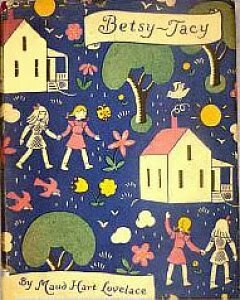 Back in the early 1940s Maud Hart Lovelace began publishing a series of books for girls, the "Betsy-Tacy" books. They were popular in the 40s and 50s and have been reprinted many times. The books hold such fond memories for many that there is now a Betsy-Tacy Society! The series chronicles the adventures of two girls, Betsy and Tacy as they grow up in the 1890s and early 20th century in Minnesota. They were later joined by a third little girl, Tib. Author Judy Blume wrote the foreward to the reprinted series. I'd always liked to read, but until the Betsy-Tacy books I'd never found stories about girls who were anything like me and my friends. Even though I knew from the start the books took place in the olden day, the characters felt to real it didn't matter what they wore, or how they fixed their hair, or that they thought a dollar was a lot of money. In fact, I found these details fascinating. 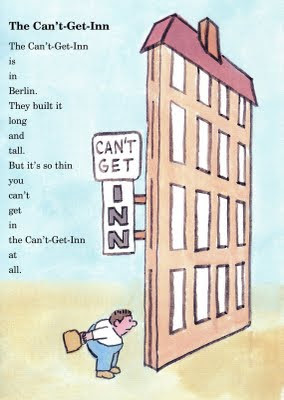 We have a collection of all ten of the Betsy-Tacy books [J LOV] in our children's room. Like the "Little House" series by Laura Ingalls Wilder [J WIL], the girls advance in age with each book, culminating in Betsy's Wedding. It might be a pleasurable way for a girl to spend the summer--reading about the "exotic" world of the Midwest a hundred years ago. Cover photo courtesy Books Illustrated by Lois Lenski. The rumors of our demise are greatly exaggerated. Despite the big push for e-books, the library, with its physical books, still remains relevant in contemporary society. As does the library as a community center--just look at our schedule of Summer Reading Program activities for kids! But, somewhere down the line, many people will begin to replace their home libraries with "e" versions. At that time, there will be a supply of old books to give away or sell, recycle, or, repurpose. 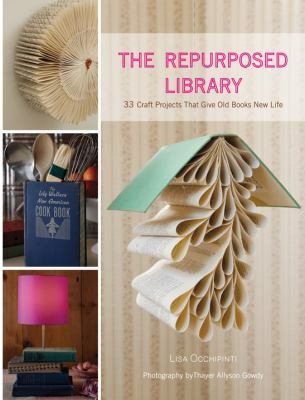 A new book we recently added to our collection is The Repurposed Library: 33 Craft Projects That Give Old Books New Life [745.5 OCC]. I'd recommend taking a look at it, because the projects are different, and not beyond the abilities of most people. You can make a simple wreath from book pages, a small shelf for books or knick-knacks, a clock, a kitchen utensil holder, and more. The author, Lisa Occhipinti, is a former instructor at the NH Institute of Art, and the Currier Museum, who now, according to a New York Times article, lives in Venice Beach, CA. Last Thursday there was a lunar moth on the screen on one of the windows in the children's room. Everyone who saw it exclaimed at its color, shape, and size. It swayed in the hot breezes that blew all day long. I snapped the photo that accompanies this post. I'm always amazed at the variety of creatures that seem to visit the library grounds--from snakes to moths to turkeys. It's a jungle out there! Information about lunar moths is readily available online including this site from the University of Florida. We have information in Moths by Adele Richardson [J 595.78 RIC] and Butterflies and Moths by David J. Carter [595.78 CAR]. This past weekend there was a 48-hour movie competition, The 48 Hour Film Project, that took place in New Hampshire. On Friday night teams were given a character, a prop, and a line of dialogue. The teams had 48 hours in which to write, shoot, edit, and score a complete movie! The films will be shown on Wednesday, and the public is invited to attend. Although you missed this year's competition, you can start planning for next year. Borrow one of these from our collection and study up on the art of film! 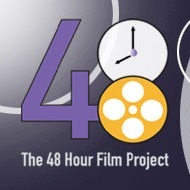 To keep up with the New Hampshire 48 Film Project, check out their Facebook page. into caves under tree roots. It is so much more fun to come across information in the form of a poem! 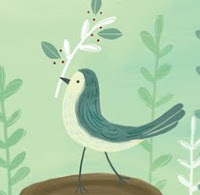 Anastasia is hosting the Poetry Friday Round-Up at Picture Book of the Day--stop by! I can't tell you how many times I've heard people express dismay over the fact that people no longer write letters and that all the electronic messaging we do, will be lost to future generations who will want to know what everyday life was like in America in the beginning of the 21st century. You can lay some of these fears to rest. The Library of Congress has taken on the monumental task of building a Twitter archive. You read that right--a Twitter archive! Who knew there was such a project under way? Not me! I learned about it through an article by Audrey Watters from the O'Reilly Radar: Insight, Analysis, and Research about Emerging Technologies Website. Eyes of the Nation: A Visual History of the United States by Vincent Virga and the curators of the Library of Congress [973 VIR] is the by-product of another monumental task that the Library of Congress has undertaken--collecting photographs, maps, illustrations, posters, manuscripts, letters, and other treasures that document the history of our country. "The actors have green dots on their faces and wear a kind of wetsuit, and the computer reads every movement and every facial expression." He said computers can also manipulate facial appearance. "It means we can freeze the age," he said. "Tintin will never age." 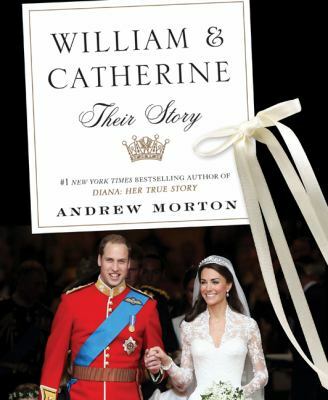 And you may not have gotten out of bed last month to view the live television coverage of the Royal Wedding of William and Catherine--don't despair, enterprising publishers have already put out at least one book and a video of the grand occasion--and we own both! 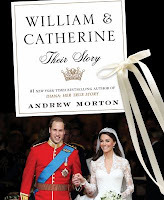 The book, by Andrew Morton, the same man who wrote about Will's mum, Princess Di, in Diana: Her True Story--In Her Own Words [B DIA], is William & Catherine: A Royal Wedding [941.085 MOR Morton]. The film is The Royal Wedding: William & Catherine [DVD 942.085 ROY]. You should definitely watch it if for no other reason than to see the outfits on Will's cousins, Princesses Beatrice and Eugenie--talk about fashion disasters! Meow! 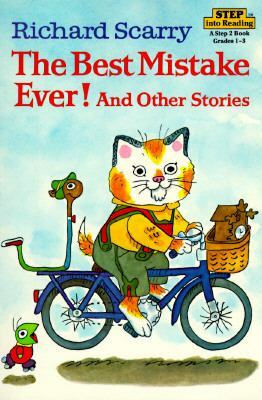 Yesterday, when I went to Google to look up something, I was surprised to see the Google logo appearing as if designed by Richard Scarry. I right-clicked on the image and found it appeared in celebration of the 92nd anniversary of Scarry's birth. Scarry passed away in 1994, but his children's books, and characters such as Lowly Worm, live on. We have a good number on our shelves, most of which are found in JP SCA or E SCA. 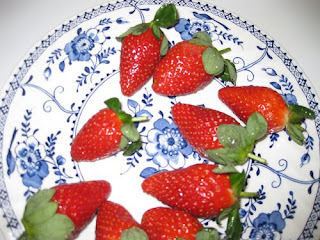 Poetry Friday--It's Strawberry Festival Time! In honor of tomorrow's FLOW Strawberry Festival, I have found this amazing love poem by Amy Lowell, which has a mention of strawberries. Wow! 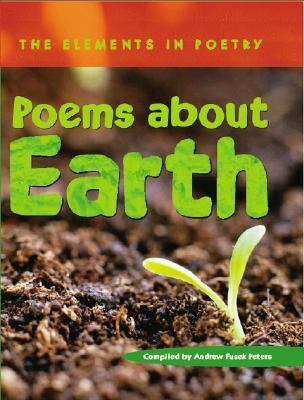 Does that poem use all your senses or what? Lowell is a master at making the reader see, feel, smell, hear, and taste! It's good to hear a Lowell poem being read aloud. I didn't find "Interlude," but I did find 16 readings of "In a Garden." Click here. I liked #s 9 and 12. For the Poetry Friday Round-Up visit The Writer's Armchair with Toby Speed. The Friends of the Library of Windham Book Sale is taking place at the Library today from 11 am to 7 pm, tomorrow from 11 am to 4 pm, and Saturday from 8 am to 11 am. The annual Strawberry Festival will take place at the High School on Saturday from 10 am to 4 pm. This event is a true community event--you won't want to miss it! There are games for kids, raffles, entertainment for the family, and food for all--plenty of food! 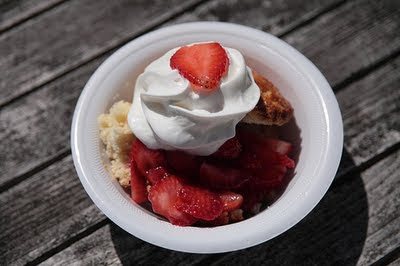 The highlight is the luscious strawberry shortcake--biscuits, fresh strawberries, whipped cream, and/or ice cream. Yum! 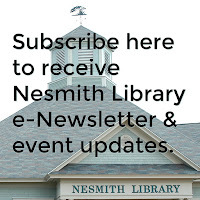 Money raised goes to support the Library by providing programs and materials that are outside the Library's regular budget. This summer FLOW is paying for many of the performers who will be educating and entertaining kids and teens as part of the Summer Reading Program. Many thanks for their generosity! For more information, check out the FLOW festival page here. If you'd like to volunteer, click here to see what jobs remain to be filled. Now that you're in a strawberry mood stop by the library to borrow Ripe for Dessert: 100 Outstanding Desserts With Fruit--Inside, Outside, Alongside by David Lebovitz [641.86 LEB]. There's so much more you can do with strawberries beside shortcake! Gaiman writes for children, teens, and adults, and we have a number of his books on our shelves including his Newbery Award winner, The Graveyard Book [J GAI, also available in AB/CD GAI], and American Gods [F GAI]. Whatever its loftier intentions, "American Gods" is a juicily original melding of archaic myth with the slangy, gritty, melancholy voice of one of America's great cultural inventions -- the hard-boiled detective; call it Wagnerian noir. The melting pot has produced stranger cocktails, but few that are as tasty.